When is a Data Warehouse not a Warehouse? Data warehouses are used by organizations to liberate their information assets –information that is otherwise trapped across a myriad of disparate operational systems. Organizations use data warehousing architectures to better understand their customers, improve marketing campaigns, enhance customer service, mitigate risk, and so on. Controversy is the operative word when it comes to selecting data warehousing architecture. At times, it almost sounds like a religious debate as professionals argue about how to build, manage, and use data warehouses and data marts. So, with all due respect, here is my version of truth. Needless to say, having designed a few multi-terabyte, multi-billion row data warehouses in my day, I’m passionate about this. This is a warehouse (this picture is worth a 1,000 words). 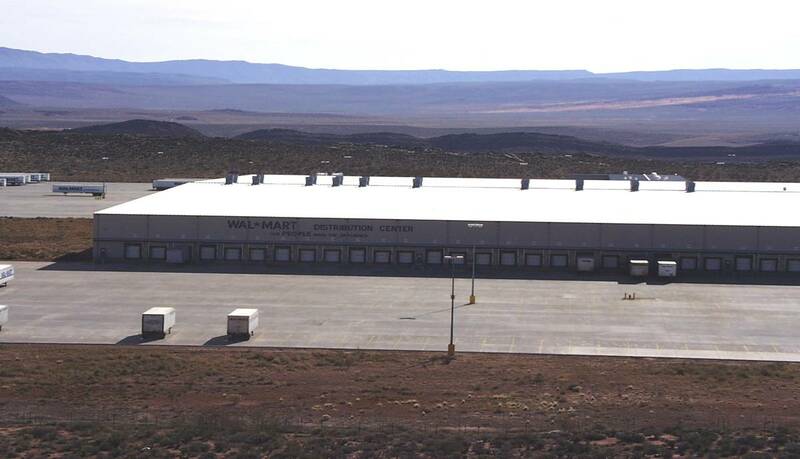 More specifically, a Wal-Mart warehouse located in the middle of nowhere on Interstate 15 between Las Vegas and Salt Lake City. Warehouses are about strategic distribution. They are engineered to support three primary functions: (1) a receiving function; (2) a staging function; and, (3) a distribution function. Ideally, warehouses are strategically located, i.e., physically constructed in areas where expansion is economical, convenient and located in proximity to efficient distribution channels (think highways or railways). Warehouses are designed to support everchanging inventory requirements (e.g., from pet rocks to tandem bicycles). Their inventory is organized towards maximizing efficiency at scale (e.g., pallets and forklifts). And they are appropriately secured (e.g., protected by a fenced perimeter and a guardhouse which controls the arrival and departure of product). Marts (picture this), on the other hand, are located and engineered to serve users. They are conveniently located and readily accessible (e.g., on site parking). 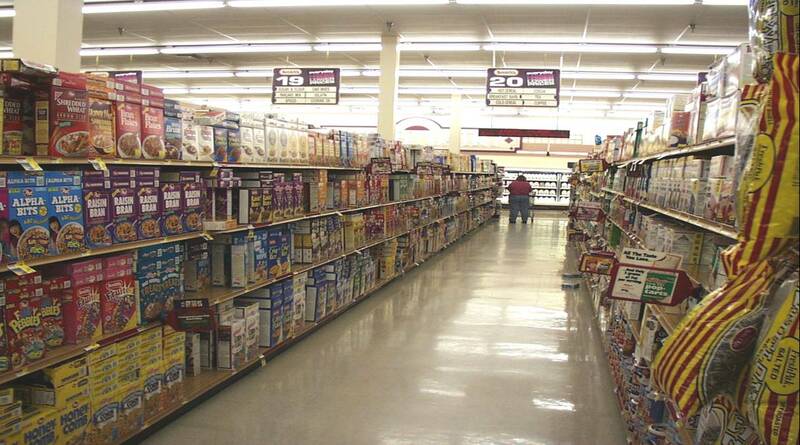 Content is highly predictable – consumers know which marts have what product. Inventory is organized in a manner best suited to the products offered and customer expectations. This is why Starbucks, Kroger and Payless shoe stores all have unique and highly specific inventory models (picture this). Product is often presented in a manner designed specifically to drive consumption, and frequently optimized towards guiding consumers towards product with higher margins. 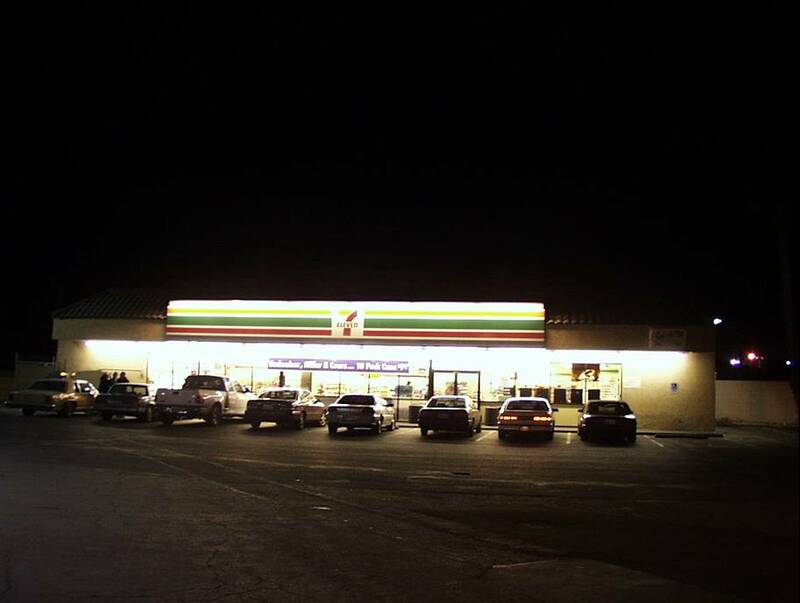 Marts are secured according to the value of the content – that is why pharmacies are secured differently than 7-11’s. Structure governs function. Production facilities, warehouses, and marts have different purposes. Therefore, each will structure inventory appropriately. Question: When is a data warehouse not a warehouse? Answer: When consumers are found running around the warehouse looking for size 10 shoes. In my view, many data warehouses are really marketing-oriented data marts because they are engineered solely to serve a specific user mission (not strategic distribution). This is not to say these systems aren’t valuable. I just would not call them warehouses. Let me suggest only building warehouses when some large number of distribution end points (marts) are envisioned in the future. Otherwise, a more efficient use of resources is to build a few specific marts without building a warehouse at all. Walmart would not have built that warehouse in the middle of nowhere without anticipating a myriad of storefronts (marts). My “Two Cents” Technical Note: Star schemas don’t belong in the warehouse, but are well suited for certain types of data marts. And, if you are looking for a near real-time data warehouse, start by thinking about OLTP-like schemas (e.g., 3NF). The schemas used by data warehouses and data marts are critical to achieving scalability and sustainability. Data mining means different things to different people and quite frankly has become an overused term. And after having seen quite a few data mining definitions, I have concluded the longer the definition the greater the confusion. So what might be the shortest possible definition? Marketing organizations use data mining to create promotional offerings (“junk mail” to you and me) targeting selected individuals they “predict” will have a higher propensity to transact. In this scenario, better prediction means a higher promotional response rate, thus improved sales and savings in promotional costs. False positives – or incorrect predictions – in this domain have a benign consequence. And while I am on record about the negative Consequences of False Positives in Government Surveillance Systems, there are some very powerful uses of data mining in government settings. When a government is faced with an overwhelming number of predicates (i.e., subjects of investigative interest), data mining can be quite useful for triaging (prioritizing) which subjects should be pursued first. One example: the hundreds of thousands of people currently in the United States with expired visas. The student studying virology from Saudi Arabia holding an expired visa might be more interesting than the holder of an expired work visa from Japan writing game software. Applying this line of thinking to the recently reported NSA warrantless surveillance debate, if the surveillance always starts with a predicate (in this setting, phone calls from known Al Qaeda training camps), and then data mining is used for predicate triage … then we are talking about a very useful form of data mining. So what constitutes a viable (legal and useful) predicate? That is the question of the day! Today on National Public Radio I was interviewed by Renée Montagne, the Morning Edition host, on the subject of privacy. Whether an organization is trying to better understand its customers, detect fraud or protect its infrastructure from terrorism, it is true that the more data points available the better the situational awareness. Poor and inaccurate situational awareness results in poor decisions. And poor decisions result in inefficient operations, non-competitive offerings in the market place, and in the case of government, wasted resources and unforeseen attacks on a society. In many cases, poor situational awareness stems from too little, not too much, data. Situational awareness requires Context and context requires data points. In the information management world it is recognized that an organization’s information assets are generally useless to the broad strategic interests of the enterprise because the data holdings are so disparate and isolated. The opportunity cost or consequence related to situational awareness is proportional to the size of the organization – bad decisions in the case of the manager of the barber shop produces one worst case outcome, bad decisions at Enron another, a country another, and mankind yet another, each with increasing consequences. For example, large organizations lacking enterprise awareness inadvertently hire people who were once arrested for stealing from them. A large mortgage company once called and left me a message every week for months in hopes of getting me to refinance my loan through them when in fact they had refinanced my loan months ago. Your request for a wake-up call in the hotel will not stop the maid from knocking on your door – rather you are expected to hang your “Do Not Disturb” sign on your door. Duh, that’s efficient. The private sector becomes more competitive when it leverages its existing information assets better. And while privacy concerns matter to everyone, when governments attempt to leverage information assets especially across organizational boundaries, privacy and civil liberties end up front and center in the debate. As a member of the Markle Foundation’s Task Force on National Security in the Information Age we spent a lot of time thinking about how a government can be more effective while at the same time ensuring a higher degree of privacy and civil liberties protections. Our Second Report discuses this at some length. The government is charged with protecting us, and it will be smart policy and effective technology that is called upon to answer the mail. And because it is true that in many cases “more hay helps locate more needles,” I encourage my technical colleagues to fully engage with the privacy community to better understand and explore what kinds of solutions get the job done and in a way that is more privacy conscious. And while there is no perfect answer, we can do a better job – and that includes me – and that is why I am doing my best to maintain a conversation with the privacy community. Every so often I have someone express concern because they went to the airport and discovered that their name is on the TSA No Fly or Selectee list. I then have to explain how watch lists work. In almost every case, the answer is the person on the watch list is not them but someone with the same/similar name. The underlying problem is that the information on these watch lists typically have low fidelity (i.e., limited data points like only name and date of birth). If you want to see an example of a government watch list check out the Office of Foreign Asset Control’s Specially Designated Nationals Watch List. You will find this frequently contains only a name, date of birth and place of birth. Financial institutions are required by US law not to transact with these folks. So back to the airport ... when making an airline reservation, one typically provides a name, address, phone, credit card and sometimes a frequent flyer number. Well, the problem is the only relevant field for matching is the name. And names are matched with fuzzy logic which means matches can be found despite minor discrepancies and name variations (e.g., Bob and Robert). Using only fuzzy name matching in large populations of data produces many false positives. One remedy often reported is to start using your middle initial when making airline reservations, which in most cases will cause your name to not match, unless of course the name on the watch list happens to have the same middle initial as you. As watch lists grow, as they have in the post September 11 world, so do false positives. Additionally, the administrators of the watch list have to address a number of other policy and process challenges, for example, watch list redress. Paul Rosenzweig and I thought through and addressed both of these key issues in a paper we co-authored entitled, “Correcting False Positives: Redress and the Watch List Conundrum” and published this past year by the Heritage Foundation. In this paper we present solutions to redress and a consumer-driven method for handling false positives. On a bright note, since I travel extensively, I can attest to the fact that I have seen someone that, after matching to a name on the No Fly list, was offered and elected to share another personal attribute. Coincidentally, this is an approach Rosenzweig and I championed in our paper. The premise is the flying public are in the best position to differentiate themselves from the watch listed individual by providing an additional attribute – rather than requiring large scale, automated access to public records data. Using such an approach should result in the individual not being matched on his next trip to the airport. This process used to be broken, and this new and improved process is certainly better than many other approaches. There are emerging technical advances whereby it is becoming not just possible but viable to perform advanced information analytics on data after it has been anonymized (shredded). This could have profound implications for future information sharing missions. Because, if an organization intends to share its sensitive data and it is possible to share only anonymized data while achieving a materially similar result, why would they ever share sensitive data any other way? There are a lot of winners in this alternate future as the risk of unintended disclosure (of one’s sensitive data) is greatly reduced. Not just good business but better privacy. Not a lot of privacy-enhancing technologies also have a compelling business case, but in this case, I think this could be a win win.